As coastal state residents subject to regular outages, we have noticed, appreciated - and paid for - the improved communications which do make a huge difference. 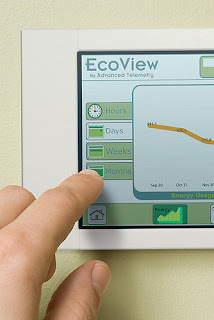 A decade ago, long before the Internet of Things was an industry buzzword, Reliant, a Texas-based energy company owned by NRG, began installing smart meters in homes across central and eastern Texas to read energy consumption per house more than once a month. First was a weekly email to prevent “sticker shock” by showing a customer usage for the past week. Later came a mobile app, and earlier this year, it debuted voice commands through Google’s smart speakers and thermostats from Google’s sister company, Nest. Fast-forward to today, and the company can now collect as many as 96 readings each a day. Reliant’s algorithms also can tell when a customer has a major usage change—maybe the air conditioner ran out of freon or there’s a duct leak in the attic—and let them automatically know if something might be wrong.To both better help customers understand their energy usage and use it more efficiently in the process, utilities have spent the past few years investing in emerging technologies that can help preemptively meet the evolving needs of consumers—and in the process also help the energy providers themselves. “If you’re in a regulated market, the motivation to do some of these newer things like voice aren’t as strong, because they don’t have 49 competitors competing for customers,” said Scott Burns, head of innovation and customer experience at NRG. Digitally savvy consumers do seem eager for energy companies that are digitally savvy themselves. According to a survey conducted by Accenture, 88 percent of respondents are ready to interact with digital assistants, while 76 percent said they’re willing to learn about new products with the help of AI. Reliant is just one of many energy companies beginning to rely on voice assistants. Over the past few years, others such as Commonwealth Edison in Chicago and National Grid in the Northeast have built partnerships with Nest to help with everything from controlling devices to consumers understanding their bills. According to Jeff Hamel, head of energy partnerships at Nest, utilities are looking to map out customer engagement in ways they hadn’t in the past. He said people with a smart thermostat connected to their Google Assistant are interacting with their energy usage more and saving between 10 and 15 percent on their bills. There’s also the question of why people want to use smart devices for energy in the first place. According to Jessica Ekholm, an energy analyst at Gartner, there are two types of consumers: cash-strapped households might be focused on savings, while typical connected consumers—often the middle class—are more interested in understanding how and why they use energy. She said some studies have shown that having a device sometimes leads to increased energy usage if a household is merely tracking. Smart thermostats and assistants in the home have even become a bit of a “gateway drug” for other connected devices. Con Edison—which has a program to give people an Amazon Echo—has found that once people start using voice assistants, they start using them for other things like turning on lights or playing music even while saving money by tracking usage. For example, people might think they save money on air conditioning by just turning it on when they get home, but data might show it’s better to keep a more gradual flow during the day. “The idea, when I think about a smart grid, is this two-way communication where we’re engaging with the equipment and they’re able to ‘speak’ back to us,” said Katelyn Tsukada, who runs ConEd’s Smart AC program.